To sign up for this training, fill out a Training Request Form and, when asked, provide the survey code "ALLDHS18". AF-CBT is an evidence based, family-centered treatment designed to address family conflict, coercion and hostility/aggression, child behavior problems, and child physical abuse. 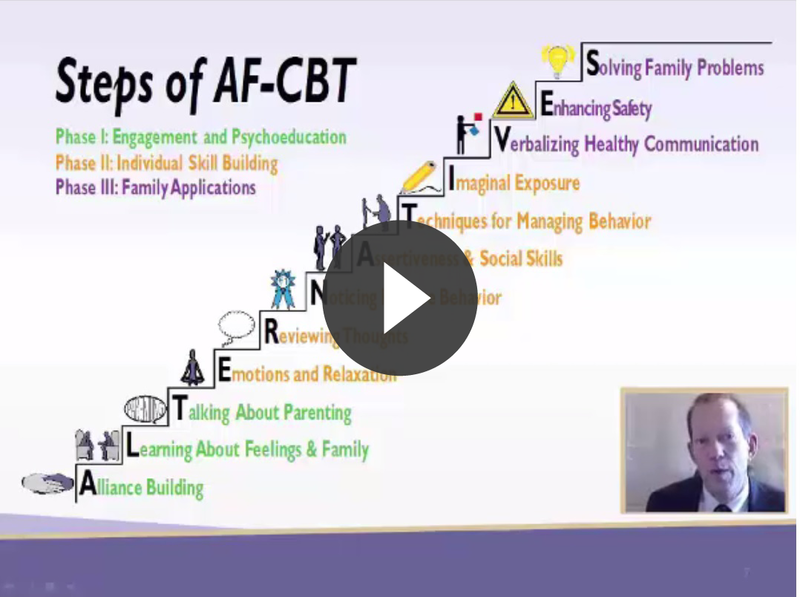 AF-CBT teaches individual and family skills to strengthen relationships and safety routines using coordinated and structured training methods. 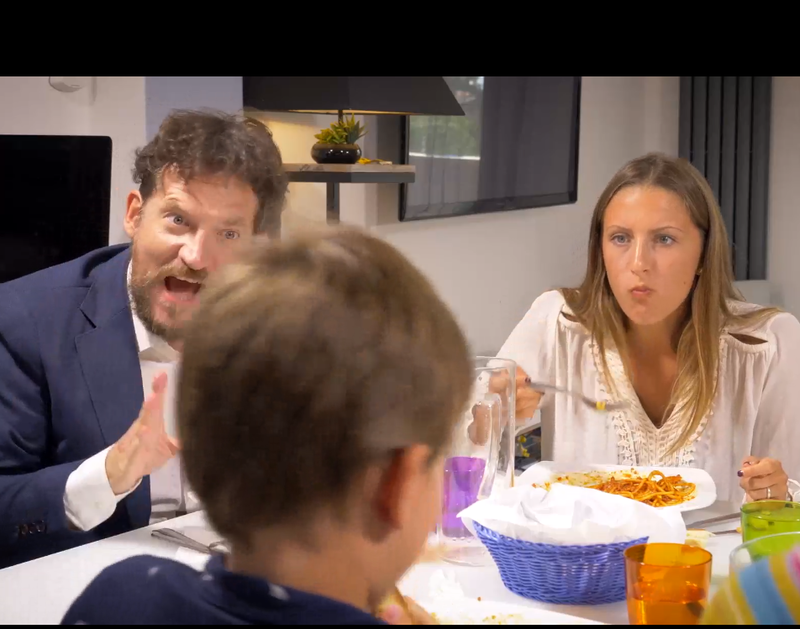 This model seeks to help family members improve their communication and problem solving skills, help parents to effectively support and discipline their children, and help children manage difficult emotions and respond more competently to interpersonal challenges. The basic training session is conducted over 2.5 days of intensive instruction and roleplay. To enhance skill acquisition and use, monthly consultation is on clinical implementation is provided by the AF-CBT trainer. During the consultation period, our trainer will provide detailed feedback on submitted session audio and will also be available for Q&A by e-mail. A half-day advanced training session is held approximately 6 months after the initial training session. You will also get access to the trainee section of the AF-CBT website, where you can take advantage of useful features such as assessment scoring applications, extra handouts, and other helpful tools. Training will be presented by David Kolko, Ph.D. and Barbara Baumann, Ph.D. Dr. Kolko and Dr. Baumann are University of Pittsburgh faculty members and experienced AF-CBT trainers, with over 40 completed trainings between them. Consultation is provided to support providers using AF-CBT in their own practice. Clinicians are expected to carry a minimum of 2 AF-CBT cases, use assessments, present on calls, and receive feedback and direction through telephone or video conferencing. Calls are generally 1 hour long and occur monthly for 12 months. Attendance of at least 9 consultation calls and provision of 2 session audio recordings for trainer review is required for AF-CBT training completion. Complete the Pre-Training Orientation videos and quizzes, which contain a free course that offers CEUs upon successful completion of 4 quizzes. We highly recommend that participants park in the Soldiers and Sailors Garage, which can be accessed via Bigelow Blvd. Parking for 6-8 hours at Soldiers and Sailors Garage costs $10.00. For more information about this training, contact Dr. Kolko by phone at (412) 246-5888 or by e-mail. “Pittsburgh, PA, USA (as seen from the top of Mount Washington)" by Always Shooting licensed under CC BY 2.0. Image was cropped.